Home / Blog / FAQs / Camino FAQ: What are the busiest months on the Camino? Camino FAQ: What are the busiest months on the Camino? Planning your next Camino de Santiago adventure? Wondering which month of the year would be the best for you? 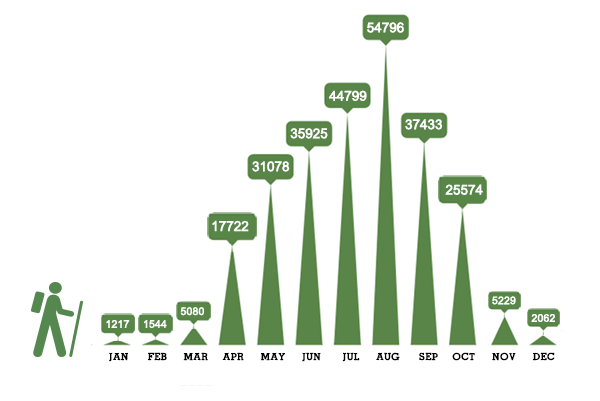 what are the busiest months on the Camino? We have taken the most recent statistics from the Pilgrims Office in Santiago de Compostela to give you an idea of the number of pilgrims arriving in Santiago and claiming their Compostela month by month. The Pilgrims Office in Santiago welcomes pilgrims to the city and issue pilgrim certificates. Their figures take into account the number of ‘Compostela’ certificates issued, which means statistics include those pilgrims finishing in Santiago de Compostela and walking at least the last 100km or cycling at least the last 200km. Therefore, the total number of pilgrims on the Camino is likely to be higher. However, these statistics will give you an idea of the number of fellow pilgrims you are likely to encounter depending on the month you choose to travel. You will see August is by far the busiest month on the Camino (this is likely due to the fact that many Europeans take holidays that month. That is the case in Spain; Spaniards still are the most predominant nationality on the Camino), followed by July and September. The month that you choose will depend on the amount of time that you have available to walk and also the weather conditions that you prefer to walk in. Galicia in Northern Spain is the perfect destination for a walking holiday as it as relatively temperate climate all year round. 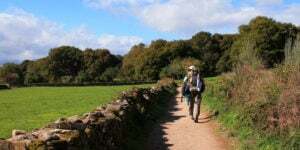 The most popular months for walking the Camino de Santiago are from April to the end of September each year. If you are hoping to meeting fellow pilgrims the Summer and Autumn are great seasons as you will see walkers from around the world out on the trails. 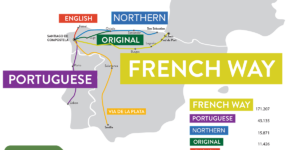 The French Way is the most popular route. You can walk the Camino in the winter months but you need to be mindful that some services will not be operating and some accommodations may be unavailable. Talk to our travel specialists to get advice on the best months to travel and what route is suited to what time of the year. We hope this will help you plan your Camino de Santiago trip! Let us know if you have any questions. Of course, write us an email with your questions to marketing@caminoways.com. Kindest regards. Dear Maria. I am student from Denmark and Camino is interested to me. Could I write to you directly? Thank you in advance. Horario: De lunes a viernes de 09:30 a 13:30 horas. En Agosto de 11:00 a 13:00 horas. If you have any other questions do not hesitate to get in touch with us. Kind regards, Lisa. Hi David, the pilgrim office is located at 39 Rue de la Citadelle in St Jean pied de port. I am going to check with our travel team about San Sebastian and send through any details this afternoon. I hope that this helps. Kind regards, Lisa. Hi Aisling, great choice! Public albergues on the Camino can’t be booked in advance; only private accommodation. 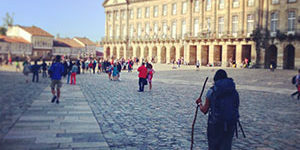 Here’s a post on Camino accommodation that might be helpful: http://caminoways.com/types-of-camino-de-santiago-accommodation. You might be able to find providers to transfer your luggage on the route. We include accommodation (breakfast-only or half-board), luggage transfers and holiday pack with route notes as part of our standard packages. Here’s an overview of our itinerary from Tui to Santiago: http://caminoways.com/ways/portuguese-way-camino-portugues/portuguese-way-section-5. Let us know if you need any additional information or a quote. Kindest regards. Hi, im planning on walking the last 100km of the Camino Portuguese in july. Just wondering can the alberges be booked in advance or not? Also can our bags be transferred along that route? Thanks!